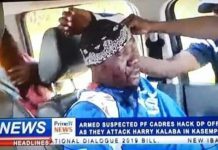 A MAN claiming to have been sent by President Sata allegedly attempted to overthrow Senior Chief Puta of Chienge on Friday but was overpowered and arrested by a combined team of police and soldiers. 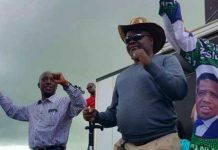 But State House and Luapula Province minister Benson Kapaya have said the man, Kapotwe Mwaba, had no blessings of President Sata for such an act. President Sata’s special assistant for press and public relations George Chellah, told Radio Phoenix that Mr Mwaba’s claims are ‘ridiculous’. Luapula Province commissioner of police Malcolm Mulenga confirmed the skirmishes that took place in Chienge. 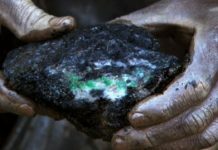 Mr Mulenga said in a telephone interview yesterday that there were clashes between two factions. 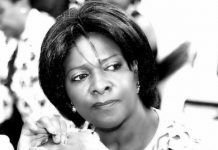 “I went to Chienge and told Mr Mwaba, whom we later detained, that if he wants to ascend to the throne, he needs to go through the ministry of Chiefs and Traditional Affairs or he must start legal proceedings against the sitting chief. We shall not allow confusion in the district,” he said. Mr Mulenga also spoke to Chief Puta about the issues which the Mwaba camp raised that include assault and their phones being grabbed by people from the palace. 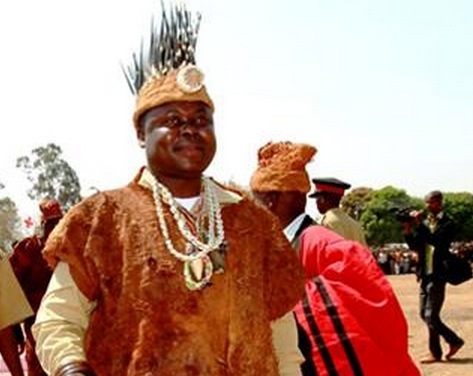 David Puta, younger brother of Chief Puta, told the Daily Mail by phone from Chienge yesterday that Mr Mwaba, known as Makumbikumbi, went to Chief Puta’s palace with three busloads of men to take over the chieftaincy. “These men were armed with axes, machetes and other weapons. 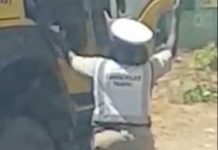 It appeared to us that they had military training because they initially overpowered the police before soldiers moved in,” Mr Puta said. Mr Puta said Mr Mwaba, who lost a claim to the chieftaincy in the courts of law in 2008, told people that he had been sent by President Sata. “Security of our people is at stake because after the man was arrested, he was released in unclear circumstances. So we want the truth,” Mr Puta said. He said that several people were injured during the attempted coup d’etat. But Brigadier General Kapaya told the Daily Mail in a separate interview that Mr Mwaba was not sent by President Sata. “How can the entire President and State House send him to do that? 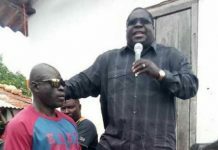 He was released on police bond but I have since asked the police to arrest him again and his group because he is bringing the name of the President into disrepute,” Gen Kapaya said. He said President Sata cannot sink low and use illegal means to unseat a legitimate chief. Gen Kapaya said it is sad that Mr Mwaba has decided to use the President’s name in an attempt to do something illegal. The minister said the law will deal with Mr Mwaba firmly.